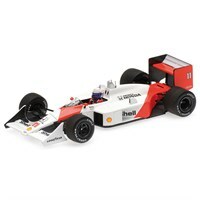 Minichamps 1:43 resin model of the #11 McLaren MP4/4 as driven to victory by Alain Prost in the 1988 Brazilian Grand Prix. 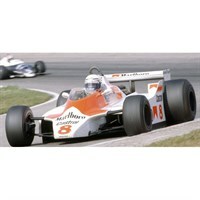 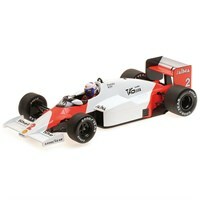 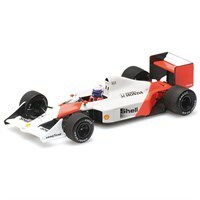 Minichamps 1:18 diecast model of the #2 McLaren MP4/2B as driven by Alain Prost in 1985. 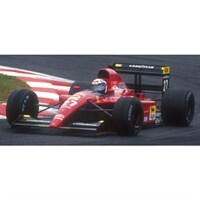 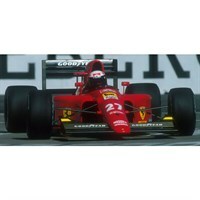 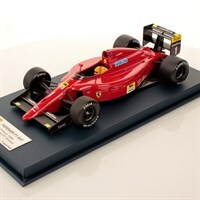 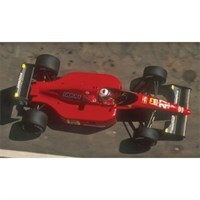 Look Smart 1:18 resin model of the #1 Ferrari F1 641 as driven by Alain Prost in the 1990 French Grand Prix. Spark 1:43 resin model of the #8 McLaren M30 that Alain Prost drove in the 1980 Dutch Grand Prix.